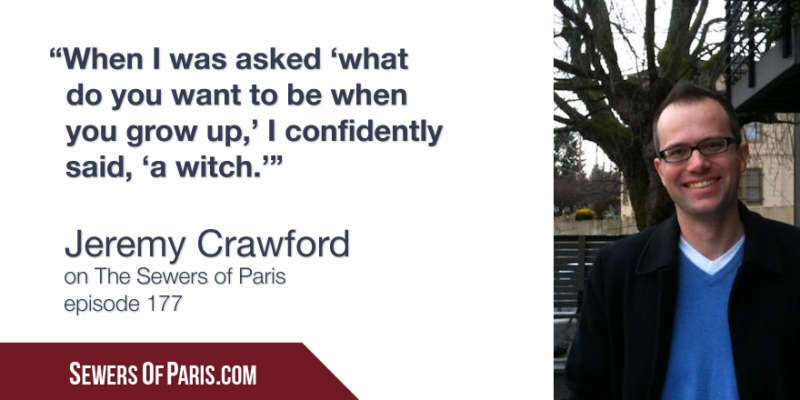 “When I was asked in school, ‘What do you want to be when you grow up?’ I confidently said, ‘a witch,'” recalls Jeremy Crawford, and in a way his dream came true. 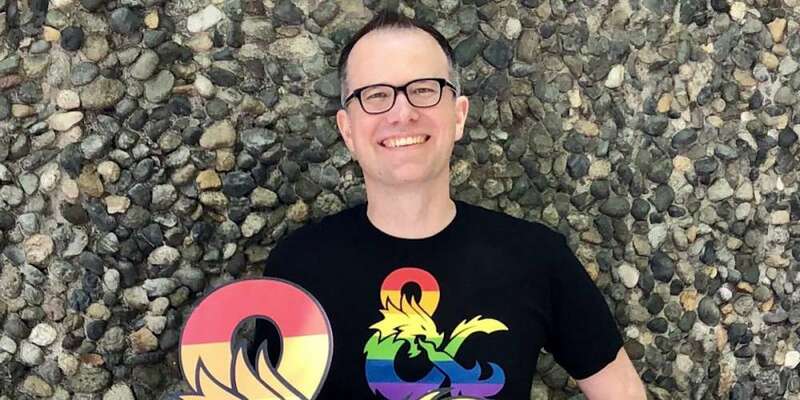 Crawford is the lead rules designer for Dungeons & Dragons, the world’s most iconic role-playing game. He was my guest recently on The Sewers of Paris, a podcast in which queer people open up about the entertainment that changed their lives. To his parents’ credit, his parents made him a witch costume when he was in kindergarten so that he could dress up in his costume of choice for Halloween. “So basically I was in drag very early on,” he says. Bewitched may have resonated particularly strongly with him because there’s an element of a “closet” to the show. The witches on the show sometimes attempt to pass as normal mortals, hiding what makes them extraordinary. “Little did I know that would turn into a metaphor for the gay experience,” says Crawford. Jeremy Crawford’s media diet was wonderfully nerdy: He watched Star Trek with his parents and absorbed Dungeons & Dragons when he saw the kids playing the game in E.T., the classic Spielberg film. Along with friends, Crawford took an interest in role-playing games that were more imaginative improv than rule-following; they’d simply cook up a scenario and narrate it to each other around a table. After a while, however, Crawford discovered the rules of the game and found the fun in solving problems within the constraints of a system. In playing he found that he was particularly drawn to characters with an unusual ability to affect the world around them. That’s probably no surprise, given the pressures that queer people often experience. “It took me a while to figure out that people perceived me following my bliss as something bad,” he says. He sought out “safe outlets” for expressing himself in ways that wouldn’t draw criticism. That’s exactly what D&D provided; and in fact, his queerness provided something of an advantage. As an adult Jeremy Crawford strove to turn that behavior from a survival technique into a personal strength. It became a professional advantage as well, as he developed a deeper understanding of what makes a game enjoyable. 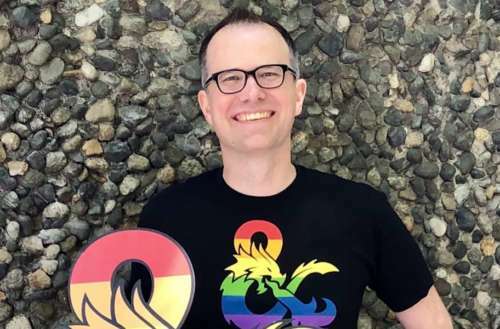 With friends he created the game Blue Rose, widely recognized to this day as a pioneer in LGBTQ gaming. And soon he found himself taking an instrumental role in the creation of the latest edition of Dungeons and Dragons. His geeky interests didn’t end with his professional accomplishments, though. When he met a man whose interest in Lord of the Rings mirrored his own, Crawford knew he’d found someone special. Several years later, he and his partner included references to Lord of the Rings in their wedding vows. Crawford often cites Lothlorien, a Tolkien analogue to a place of bliss, in describing his work and his personal goals. Listen to the full interview with Jeremy Crawford at SewersOfParis.com.